I finally got around to reading To Kill a Mockingbird thanks to Amy (from Hope is in the Word) deciding to host a To Kill a Mockingbird Reading Challenge during the month of August. She has invited us to read the book, share our thoughts, and link our posts up at the conclusion of the challenge. There's still a few days left in August if you want to hop on in. But what's left to be said about To Kill a Mockingbird that has not already been said? I can't really review the book. I'm not even going to try. Instead, I figured I would just look up some information and find out more about the author of the book, Harper Lee. * She was born on April 28, 1926 in Monroeville, Alabama. * She was the youngest of four children. 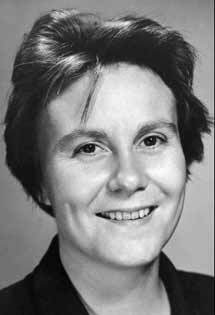 * Harper Lee was a tomboy and many people have said that the role of Scout was autobiographical - although Ms. Lee downplays that observation herself. * She has never married. * After college she lived a frugal life, taking care of her father and writing several longer stories. * In December 1956, friends Michael Brown and Joy Williams Brown gave her the gift of a year's wages and told her to take off from work and write whatever she wanted to write. 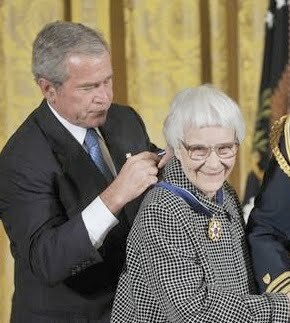 By the end of 1957, she had completed writing the draft of To Kill a Mockingbird. * In July of 1960, To Kill a Mockingbird had been published, hit the bookshelves, and became an instant best seller. * In 1962, To Kill a Mockingbird was turned into a screen play starring the likes of Gregory Peck. Harper Lee said of the screenplay: "I think it is one of the best translations of a book to film ever made." * She became friends with Gregory Peck and his family and is, in fact, still friends with his grandsons today. One of Peck's grandson's is, in fact, named after this famous writer. His name is Harper Peck Voll. * Harper Lee has declined interviews and has not published any additional stories. * Lee has worked on two additional manuscripts, although she left both unfinished, not having been satisfied with them. She worked on one novel entitled The Long Goodbye (left unfinished) and in the 1980's she worked on a true crime piece but set it aside also. * In 1987, Christopher Sergel adapted the book into a play which was produced in England in 1987. * On May 5, 1997, President George W. Bush presented Ms. Lee with the Presidential Medal of Freedom. This is "the highest civilian award in the United States and recognizes individuals who have made "an especially meritorious contribution to the security or national interests of the United States, world peace, cultural or other significant public or private endeavors." Lee, Harper (1960) To Kill a Mockingbird. New York: J. B. Lippincott. Lee, Harper (1961) "Love — In Other Words". Vogue Magazine. Lee, Harper (1961) "Christmas to Me". McCall's Magazine. Lee, Harper (1965) "When Children Discover America". McCall's Magazine. * To Kill a Mockingbird has never been out of print. Thanks, Amy, for hosting the To Kill a Mockingbird Challenge and for motivating me to finally read it! I absolutely LOVED it and also enjoyed finding about a little bit more about Ms. Lee. Given the fact that this is also a classic, I'll also be linking it up to the Classics Bookclub this coming Tuesday over at 5 Minutes for Books. To Kill a Mockingbird is one of my all-time favorite books, and has been since I first read it for my ninth grade English class! There is a good biography of Harper Lee, called Mockingbird. Not sure who the author is. Very interesting and reveals a lot about Lee's friendship with Truman Capote, who widely believed to be Scout's childhood friend Dill. I'm going to be reading and reviewing a book soon called The Mockingbird Parables, which is supposed to be a Christian view of the book's characters. 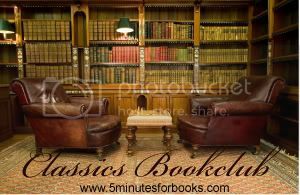 Thanks for the heads of about the Classics Bookclub next week. I'd finished Emma so hopefully I can discuss it a bit before then. This was interesting. I had read some of it before but not all of it. And I still plod along with books, too, even though I use some of the other things as well. I don't picture people's minds being like empty rooms, though -- more like messy overstuffed filing cabinets or streams of constantly running information like the news headlines you see running across the bottom of TV newscasts -- constantly running through but not sticking. Loved reading these facts! I have this on my Classics list for this year, but haven't gotten to it. I have read it before, but I would like to read it again. Yea! I enjoyed your little facts and appreciate that you didn't harp on that she kept to herself since publication of TKAM. What a great idea for a post, Carrie. There were many things here that I didn't know, so I appreciate the extra info about an author whose book I adore! Mary Bailey - Thanks for telling us about the bio! Didn't catch that when I was looking things up so I appreciate that note! Barbara H. - I love the kind way you put things! 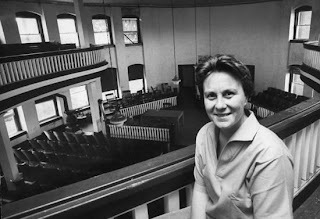 Annette W. - If I were Harper Lee, I'd want to keep to myself also. And I also would be afraid to publish anything else. When your first book is so successful, it would be hard to present another to the public. I actually respect her MORE for keeping out of the limelight and for not publishing anything else because SHE thought the other things she wrote weren't good enough. Hurray for her! Oh, I'm so glad you loved it! I knew you would--how could you not?!?!? Thanks for all the tidbits about Harper Lee, too. I didn't know the part about her friends giving her a year's wages, etc. Have you watched the movie yet? It's almost as good as the book, believe it or not. Actually, I think it's just as good, as movies go. I LOVE Gregory Peck, and it's because he does such a fabulous job as Atticus. I watched the movie when I was much, much younger one time when my mom was watching it. But I wasn't really paying attention to it. I would love to see it again - for real this time! Okay, this has got to go on my TBR list! I think I started it one time, I vaguely remember reading a few chapters, but I think the book wasn't mine so I couldn't finish it. Shame on me! She sounds fascinating--I just finally read TKAM this month and was blown away. I don't think I've ever read this. I watched the movie long long ago but never read the book. Just b/c you aren't a team member doesn't preclude me from saying that if you watch the movie, you have to do a Books on Screen! I think I mentioned it to Amy as well. Not sure. Anyway--I read this a couple of years ago, and I think for me it's a victim of "too much hype." I liked it, but I've never gotten the extreme hype. I don't know why. I'm weird, and I'll accept that. I have never read this one. It is a shame she didn't write more, she captures the thoughts of childhood so well. I read TKAM a long time ago, after college when I read some classics I'd somehow missed in school. I may even own a copy so I should really read it again. Thanks for all of the interesting facts on Ms. Lee!